Fantastic plug-and-play audio for PC, console and mobile gamers. 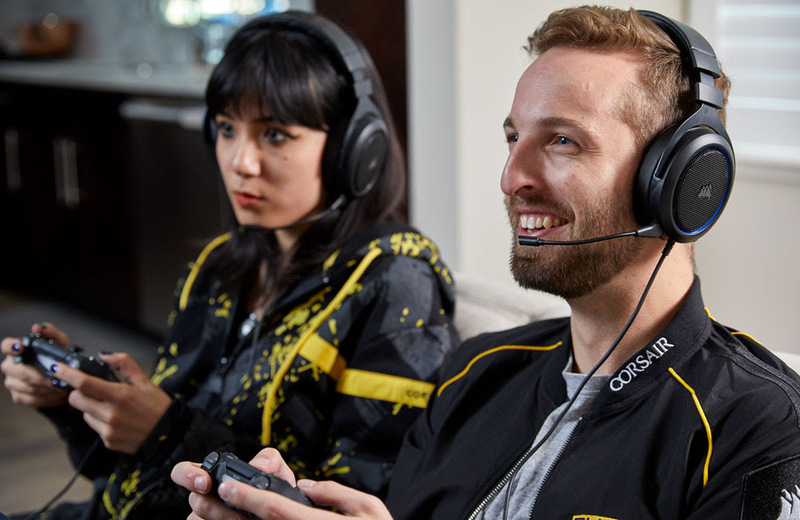 All HS50 Stereo Gaming Headsets are backed by a two-year warranty and the CORSAIR worldwide customer service and technical support network. For up-to-date pricing of the HS50 Stereo Gaming Headset, please refer to the CORSAIR website or contact your local CORSAIR sales or PR representative. *May require Microsoft, adapter sold separately.